Programming is a fascinating profession which comprises agile changes, and enticing debates. Unlike other domains where fad keeps fluctuating with the factors like user demands, the programming trends are driven by technological improvements that offer easy implementation, better efficiency, and augmented personalization. It is not essential that what Programmer A likes will also be praised by Programmer B thus, the programming trends may vary from a programmer to another. 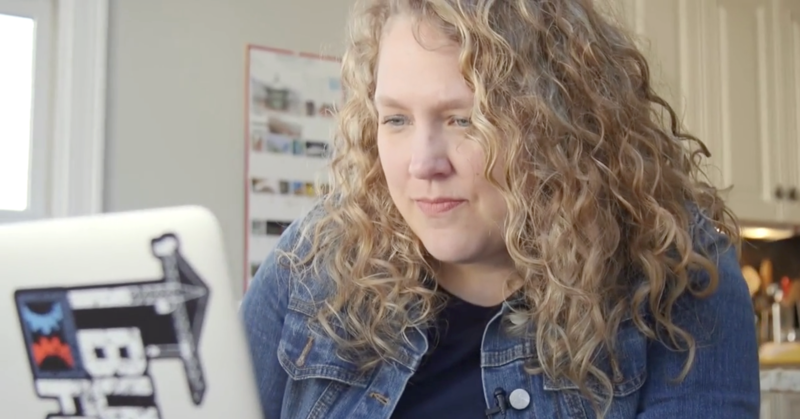 However, getting familiar with all the mod programming trends helps programmers stay resilient in the field while implementing the most expedient approach. 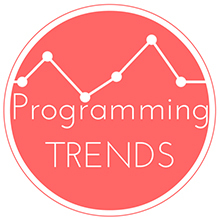 Here is a list of programming trends that are in vogue and that are out, go through them thoroughly and streamline your choice appropriately. Earlier, for making any tweaks in the interface of the websites, one just needs to access the associated CSS file, append a suitable line of code to it, close and save the file. And, the requisite change can be visualized in the design. However today, with the sophisticated web pages, it is not that easy to introduce a change in the design by simply adding a command in the file. Even a simple font change can ruin all your efforts. This is where the CSS frameworks come in, SAAS, Compass are the popular CSS frameworks that are currently ruling the ground. However, this is a big stride towards design layer, as these frameworks contribute to stable codes that add to enhanced web designs. Observing the current market trends it can be said that Apple has been the forerunner of touchscreen industry, but with more than 85% of total market share Android has passed the iOS. However, this can’t be denied that Apple iPhone and iPad still possesses a formidable fan following and customer loyalty. But, a whopping number of increase in the Android sales epitomizes the demand and craze of the platform across the globe. The most probable reason for this substantial rise in the popularity of the Android platform could be its affordable price. The iOS devices are available at a hefty price, and there is a plethora of Android devices that are competing with iOS at apparently lower prices. Who doesn’t want to save their valuable money, thus it is augmenting the sales of Android devices. Another factor that is making Android a much sought after choice for developers is its open source nature. Being an open-source platform, no one needs to seek permissions from Google to come up with a new innovation, this is why businesses are greatly contributing to the Android development with Android cameras, multi-screen Android tables, Android refrigerator, and more. Beginning from the scratch for designing and developing an entertaining game could cost a million dollars. And implementing C language for everything was a cumbersome task, so in order to make it a bit simpler and lucrative, developers have adopted the resourceful libraries like Corona, Unity, etc. These libraries have made the developers’ job more convenient and facilitated them focus over the other facets of gaming software like characters, game play, etc. Web pages featuring static text and images were used earlier. A network of several web pages forms a website that can be implemented for showcasing all the related information in an organized fashion. Nowadays, web applications are used as the front end for the most of the gigantic content databases, and whenever a user demands an information via a web application, it simply extracts it from the database and forwards it to the user. Unlike the web page development that need data markup, the web application development doesn’t require additional efforts. It is so because in the web apps, the presentation layer and the formatting layer is completely isolated from the data layer. Once upon a time, the command-line compiler were the prime choice of the majority of individuals. Eventually, with the development in technology, these command-line compiler were incorporated with additional tools and proficient editor, this combination was then named as IDE (Integrated Development Environment). Now with the flourishing technology, a replacement for IDE is required and web-based tools are ought to serve the job efficiently. With these tools, developers can even edit the code of a working system. This latest trend can be observed in the WordPress that facilitates rapid code editing with an integrated editor. Though, this solution doesn’t offer the best environment but with further refinements can work as a brilliant tool. These are a few of the programming trends that can be observed around in the field. It is essential for developers to keep themselves updated with the latest tools available and mod trends that are all the rage in order to stay productive and efficiently deliver superlative products. Celin Smith is renowned web developer and blogger at Xicom who loves to write regarding mobile and web applications. Xicom is one of the amongst leading Custom .NET Development Company which provides totally different array of real software package solutions like Custom software Development IT Outsourcing Services, Web Application Development services to its clients globally. Great and a very useful blog for me. Its a very useful blog for me. Thanks a lot for sharing. Great and a very useful blog for me. I like reading this blog. Thanks. I like reading this blog. Its a very useful and informative blog for me. Thanks a lot for posting..